can the challenge be met? 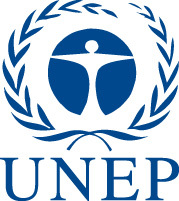 Water was chosen as the topic for this first European Environment Agency/United Nations Environment Programme (EEA/UNEP) "State of the Environment Message" because water affects every aspect of human existence and because its availability and quality are severely threatened in many parts of Europe. Water is a daily touchstone in the life of every citizen, sustaining health, economic development and ecosystems. If Europe continues without check to use and pollute its water resources as it is doing today, irreparable harm will be done to fresh-water resources, leading to restrictions of water use, conflict over water supplies, increased health risks, and possible economic losses. Many initiatives on water are being taken by the EU, UNEP and European countries, aimed at radically improving the way water resources are used and managed across Europe - but these changes need the informed support of all European citizens. Both the more efficient use of water by households, industry and agriculture, and new political agreements on water management between regions and across political boundaries are needed if severe water crises are to be avoided. The purpose of this Message is to help build the public understanding and political support needed for improving the way Europes water resources are used and managed. For references, please go to https://www.eea.europa.eu/publications/92-9167-025-1/page001.html or scan the QR code.